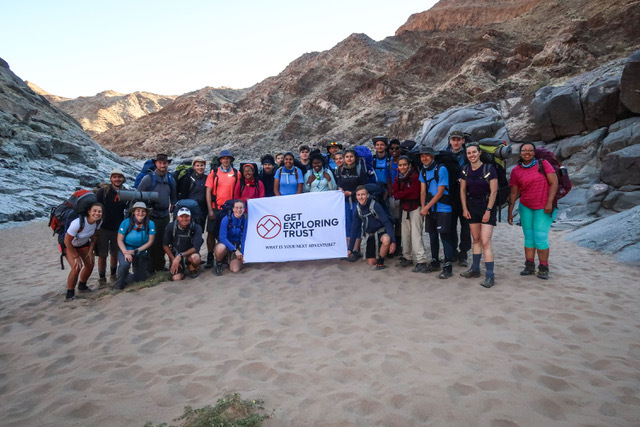 GET aims to inspire and enable people from all backgrounds to get into the outdoors, to test themselves in different environments and to push their limits. 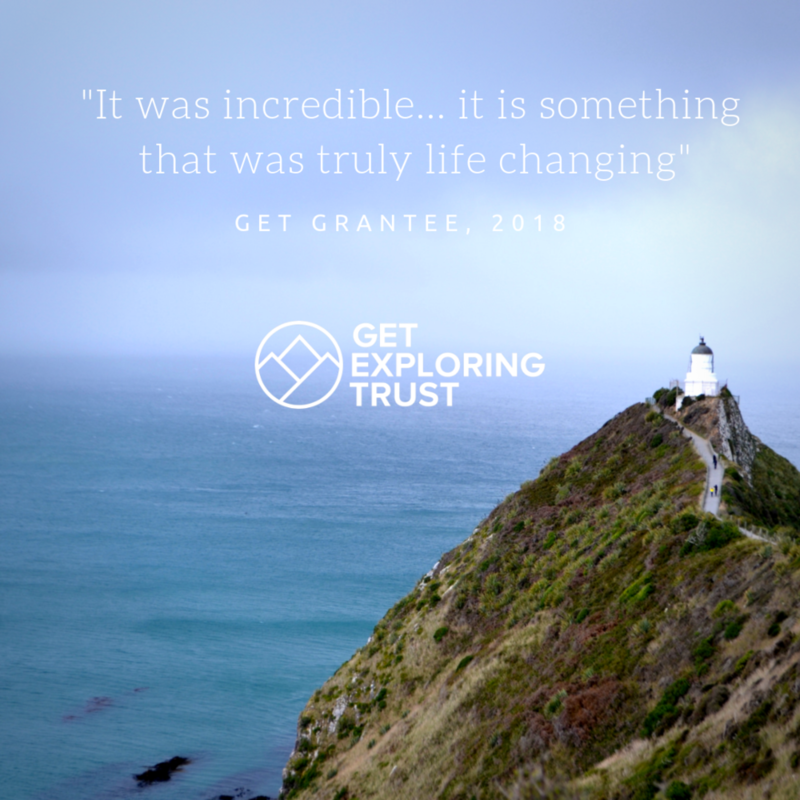 We aim to help people enhance their character and life prospects through development from exposure to challenging, exciting and inspiring experiences. 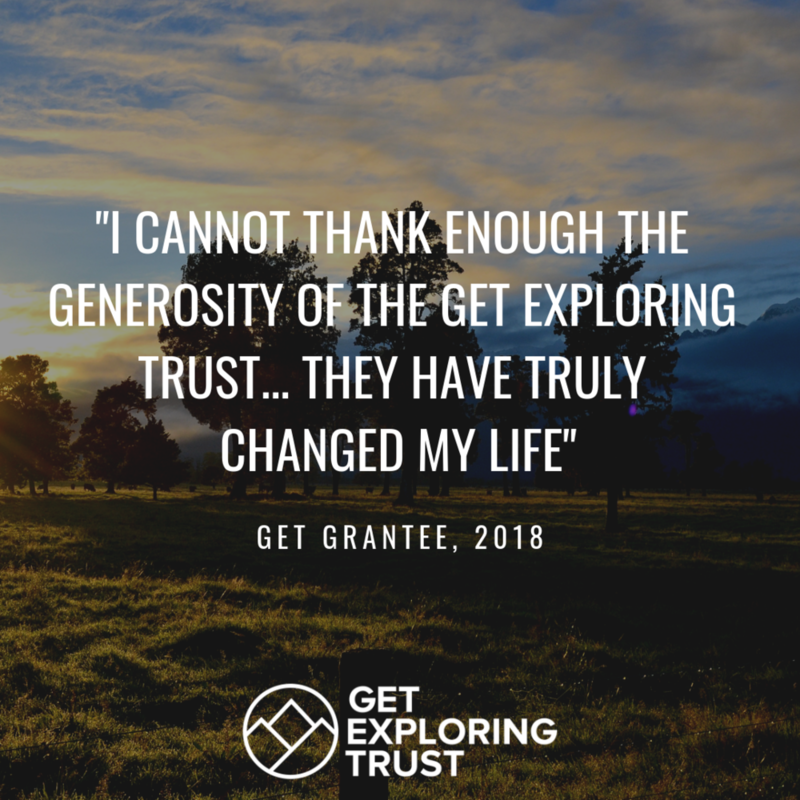 In 2018 we gave 23 grants to young people to help them ‘over the line’ in the fundraising for trips, courses and expeditions all over the world. Have a question or need advice? Get in touch! GET INSPIRED - WHERE WILL YOU GO? "Once again I would like to offer my sincerest thanks to everyone at the Get Exploring Trust"
"Home was a big culture shock... not having to work hard to obtain water abd living in comfort was oddly difficult to adjust to"
"My expedition [was] so beneficial to my physical and mental strength and awareness of myself, others and the world we live in"
"My sincere thanks go to the Get Exploring Trust for supporting this experience"
"it would not have been achievable without the generous donations and help of the Get Exploring Trust"
"Whilst up at 7,000 feet we were walking through clouds and the temperature was cooler... being able to to sit and appreciate the views provided much motivation to persevere"
"This expedition has bought a lot of awareness of the opportunities and adventure training available and has already encouraged others to get more involved in adventure"
"The impact the expedition has had... starts at the personal development and skills achieved by the Cadets"
"We achieved something that I never thought even as a team we could actually do"
"My expedition... taught me how to be independent, resilient and confident in myself..."
"I cannot thank enough the generosity of the Get Exploring Trust.. as they have truly changed my life"
"It was incredible, it is something that was truly life changing"